Hollywood, CA, United States (4E) – “American Horror Story” Season 6 will be premiering on September 14 on FX at 10 P.M. but details about the upcoming installment remain under the wraps. The plot surrounding “American Horror Story” Season 6 remain unknown and is mysterious so fans do not know what to expect in the upcoming episodes of the hit horror series. The latest update aside from the announcement of the premiere date regarding “American Horror Story” Season 6 is the promo photo for the upcoming installment. 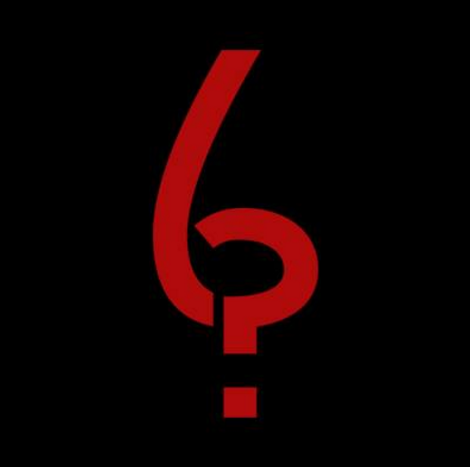 In the promo photo, it shows the number 6 in red ink as well as a red small square below it. It also looks like a question mark was incorporated in the number 6. A member of Ryan Murphy’s repertoire, Cheyenne Jackson, who played the role of Will Drake for “American Horror Story: Hotel,” talked about being part of “American Horror Story” Season 6. Jackson has revealed in a recent interview that he will be taking part in the upcoming installment that he will be back but did not give away other details about what his part will be. He did say, however, that filming for the next episodes have started. Jackson added in his interview that he has to finish filming for “American Horror Story” by the end of the year before he could go and promote his new album and decide on the possibility of a tour. The actor was also asked if “American Horror Story” Season 6 would be much darker than the first five seasons. Jackson did not directly gave an answer but teased that it will be different. He noted, "Wild horses wouldn’t make me reveal the plot." Jackson will also reportedly be joined by Angela Bassett and Lady Gaga. The singer made her debut in “American Horror Story: Hotel.” Gaga shared in a recent interview that she cannot promise how or when will she be seen in “American Horror Story” Season 6 but confirmed that she will be returning for the show. Before the premiere of “American Horror Story” Season 6, FX will be featuring two new comedy series entitled “Atlanta” and “Better Things.” “Atlanta” will premiere this September 6 while “Better Things” will be out on September 8.